Timothy Alberino has exciting news for SkyWatch viewers. Last year’s TRUE LEGENDS DVDS are finally available but that’s not all! Once again this year Tom Horn and Steve Quayle are joining a NEW team of world-famous scientists, technologists, futurists and theologians to explore the coming technological singularity and the Hybrid Age! 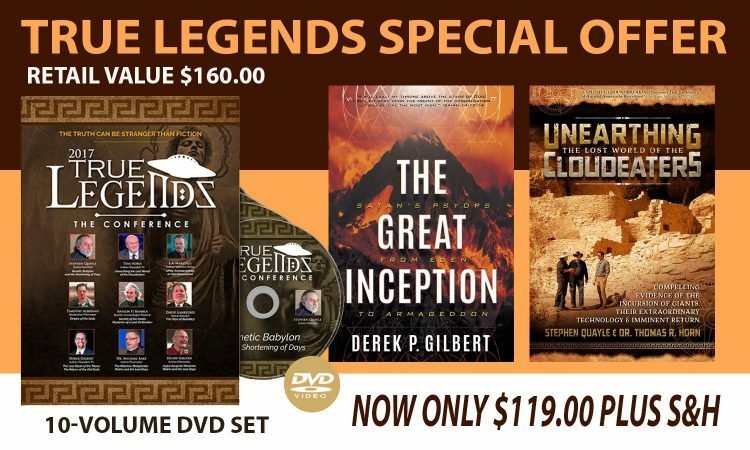 FREE BOOKS FOR A VERY LIMITED TIME WITH THE TRUE LEGENDS 10-VOLUME DVD COLLECTION!